The track opens to industrial clacking and Douglas's hellish fanfare. Maron’s bass slips in and out of key as Shigeto’s electronics skitter and scratch beneath the surface. Guliana’s drums act as the glue, juggling the individual pieces until they dovetail into a Miles-esque jazz fusion collage (see: In a Silent Way). Like Miles' seminal fusion record, “Let’s Get One Thing Straight” is oblique and dizzying. It's a vertiginous balancing act that chugs like a machine gone haywire, recklessly maneuvering along some precipice. As the instruments veer in and out of focus, high-wiring along key and pitch and meter, we realize that they could fall off the proverbial cliff at any moment. But that's where the energy is. That's what piques our curiosity and forces us to listen more intently. The terrain, unpredictable and rife with what-ifs, is the musical equivalent of staring into the abyss. What do they see, standing at the edge? Will they fall? They never do. There’s never any doubt of the risk taken in “Let’s Get One Thing Straight," nor is there any question of its reward. 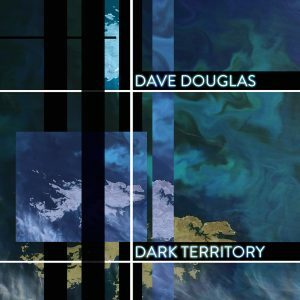 High Risk's new LP, Dark Territory, arrives on July 8 via Douglas' Greenleaf Music. You can pre-order the record now over at Bandcamp.